People are usually quite good at imagining things. For example, people often act out future actions or scenarios in their mind, or daydream about fanciful possibilities. These imagined situations are often unstructured and unprompted. Psychologists have explored whether it is possible to harness this capacity for imagination as a way to improve people’s ability to achieve desired outcomes or goals. Imagery is the general term used by psychologists to describe strategies that use people’s imagination to improve their motivation toward goal-directed actions. There are a number of different imagery methods. They often involve self-directed or practitioner-led exercises in which people imagine or visualise successfully doing the behaviour of interest or imagine the feelings and emotions experienced when doing the behaviour and its consequences. For example, a smoker wanting to quit may imagine the steps he or she might take to manage situations when they are likely to have cravings for a cigarette. Imagery interventions work by increasing motivation toward doing the behaviour in the future. It is a way of improving a preparation and readiness to successfully perform a behaviour and reach a goal. Imagery may increase individuals’ situation-specific confidence, also know as self-efficacy, for performing the behaviour. Higher levels of self-efficacy will increase the individual’s motivation or intention to participate in the behaviour in the future and assist them in overcoming any associated barriers and obstacles. For example, imagining successfully avoiding high-sugar soft drinks during break times, and visualizing overcoming potential challenges or difficulties, such as finding a low-sugar alternative to quench thirst, will give a dieter greater confidence in their ability to do so. In effect, a person imagining themselves doing the behaviour successfully is creating the ultimate role model – themself! 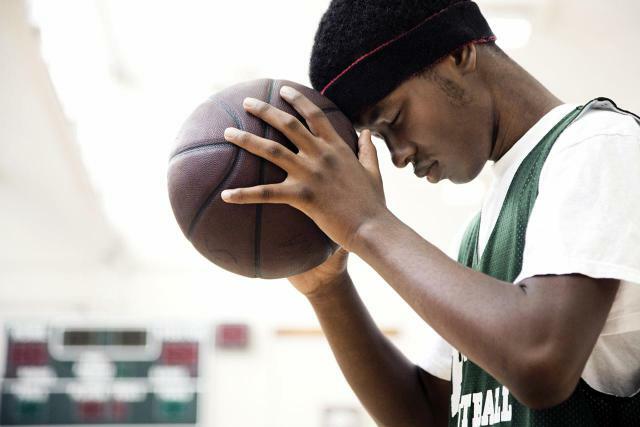 How is mental imagery used? Although there are many types of mental imagery (e.g., guided imagery, mental simulations), there are some key elements that are common to all. Imagery is often done in an ‘exercise’ in which the person creates a dynamic mental picture of themselves doing the desired action. In the exercise, the person visualises their actions in ‘real time’ and as accurately as possible, paying attention to important details and trying to imagine how they might feel when acting. In some cases, the person may be asked to also imaging achieving the goal or outcome, and the associated positive emotions they would likely experience. The imagery can be self-directed or prompted by a facilitator, who guides and directs the imagery exercise. Specialist training psychology is not a prerequisite to be a facilitator, but experience with assisting and guiding mental imagery is important. It can be also done in groups with group members imaging their own scenarios usually directed by a single facilitator. Imagery has been used to promote motivation and confidence for participating in health behaviour. Studies have shown that prompting people to visualise the steps they need to take to perform the desired health behaviour results in greater motivation and self-efficacy toward the behaviour, and actual behavioural participation. Mental imagery has been shown to be effective in reducing alcohol consumption, increasing physical activity, promoting healthy eating, and smoking cessation. Imagery has also been shown to be effective when used alongside other behaviour change methods such as action planning or ‘if-then’ plans (i.e., planning when, were and how to act), see Gollwitzer blog post. We recently conducted a review of studies using imagery for health behaviour change and found imagery strategies to be effective, especially when used repeatedly and when people were given explicit instructions on how to do imagery exercises. Target audience. Imagery interventions are most appropriate for people who are, at the very least, interested in changing their behaviour, rather than those who have little or no interest, or have not thought at all about behaviour change. It is often important that they have a health goal (e.g. to jog for 20 minutes non-stop). Imagery ‘exercises’. Imagery should be conducted as an ‘exercise’ that involves a person spending a period of time performing imagery. Exercises should be conducted in a quiet, comfortable place free from any distractions. Guiding the imagery. For people who are imagery ‘novices’ a facilitator is advised, or, at least, clear instructions on how to conduct the imagery exercises. More experienced people can conduct imagery on their own (‘self-prompted’). Writing down the imagery and providing reminders (e.g., via mobile text messages) can be an effective ways to help people remember their imagery. Timing. Imagery exercises can be conducted in a very short space of time, perhaps in less than 5 minutes, but longer imagery exercises may be more effective and could lead to the imagery being more memorable and vivid. Content. In an imagery exercise, the person who wants to change their behaviour might imagine the steps they might take to perform a particular behaviour at the time and in the place that they expect they might do the behaviour. They might also be prompted to imagine themselves encountering obstacles that might prevent them doing these behaviours and visualize how they might overcome them. For example, a person who wants to increase their physical activity (e.g., brisk walking) might spend five minutes in a seated or even lying position imagining how they might fit additional walking into their daily routine and imagine themselves doing it. Practitioners interested in learning more should read a recently published set of guidelines for mental imagery to change behaviour.